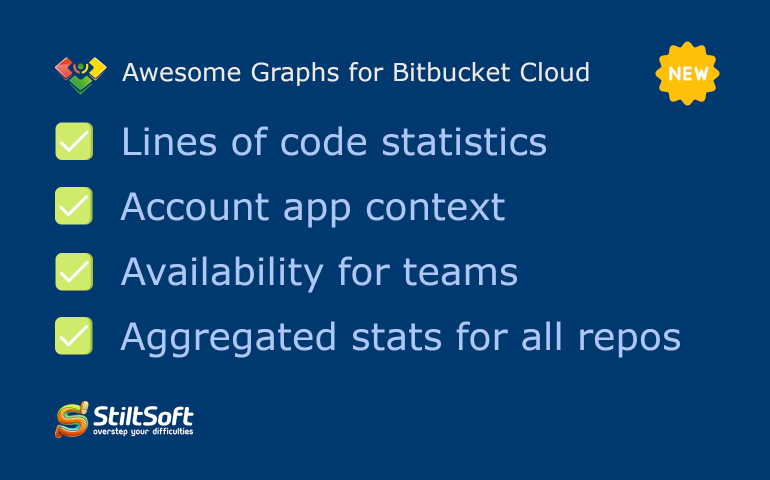 Our free app Awesome Graphs for Bitbucket Cloud visualizes statistics of Git and Mercurial repositories. Recently we’ve made significant improvements in the app. Let us tell you about them. View this video to see new features of Awesome Graphs or keep reading. Previously Contributors graph showed only commits statistics. Now it visualizes repository and user activity in terms of lines of code (LOC). Lines of code metrics are more informative than the number of commits. They will help you to get better understanding of project activity and efficiency of your team members. 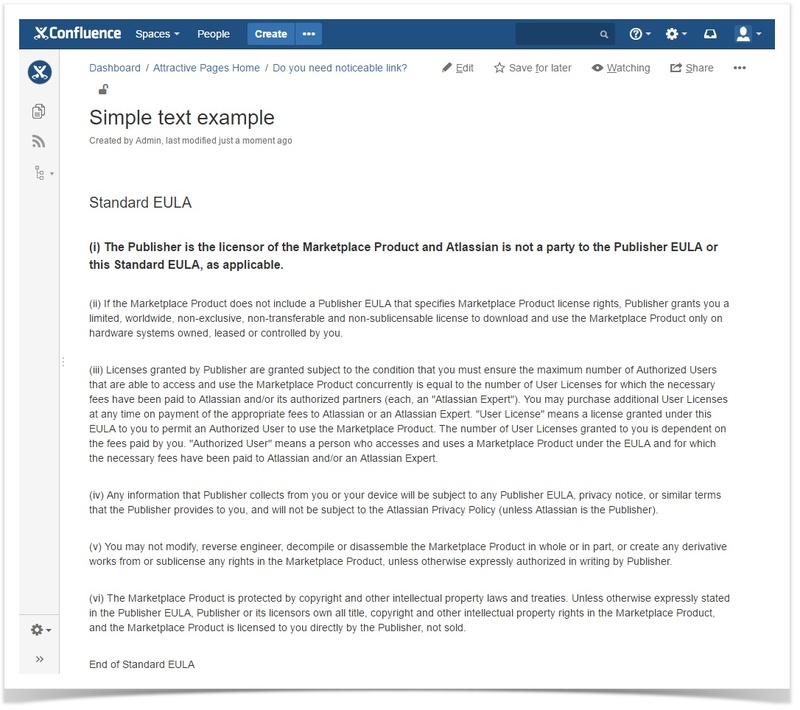 In Bitbucket Cloud behavior of apps is defined by the app context. There are two app contexts: personal and account. With the personal context you can use the app in all repositories to which you have access. But other users can’t use the app installed by you. With the account context you can use the app only in repositories of your account or team. But other users who have access to your repositories can use the app without installing it. Individual users can install apps with any context, teams can install apps only with the account context. Previously Awesome Graphs was available only with the personal app context. Only individual users could use it. Now you can install Awesome Graphs in your individual account with the personal or account context; or both. Plus you can install the app for your team. If you install Awesome Graphs with the account context to your account, everyone with access to your repositories will be able to view graphs for them. This improvement helps you to easier share insights about your work. 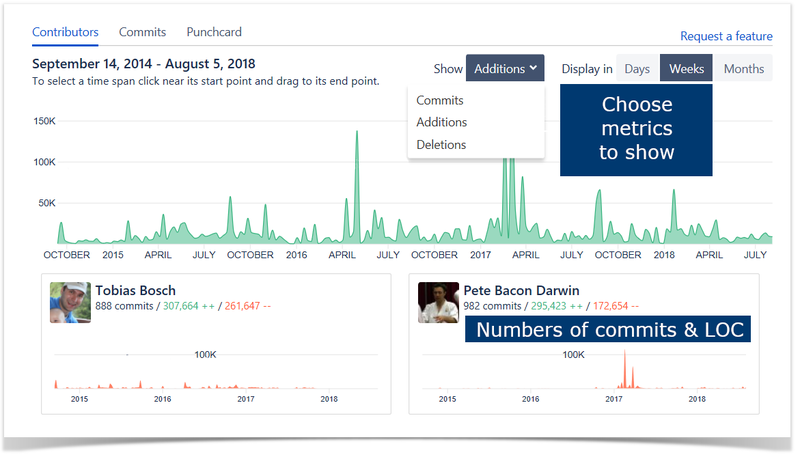 If you install Awesome Graphs for your team, all team members will be able to view graphs for team’s repositories and will get better understanding of activity there. Learn more about how to install Awesome Graphs with the account app context for users and teams. 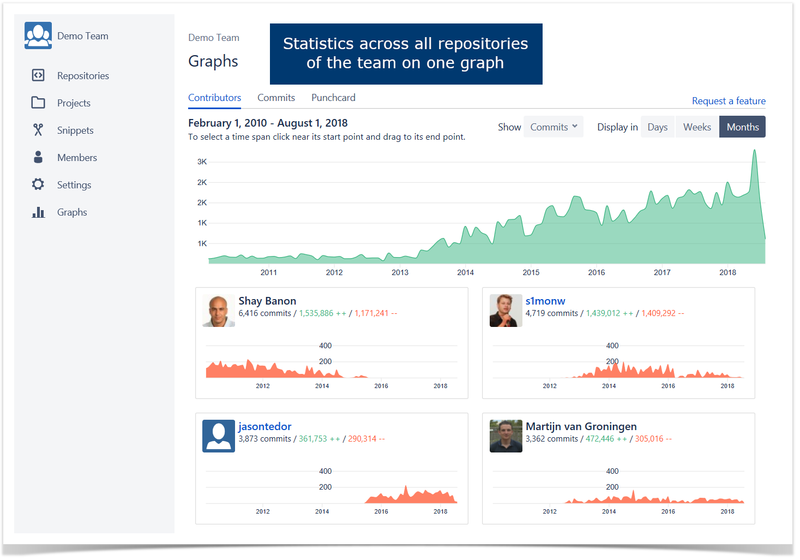 Now Awesome Graphs can show Contributors, Commits and Punchcard graphs with aggregated statistics across all repositories of a user or a team. Awesome Graphs for Bitbucket Cloud is an analytical tool visualizing repository and user activity. It is free. Try the app now.